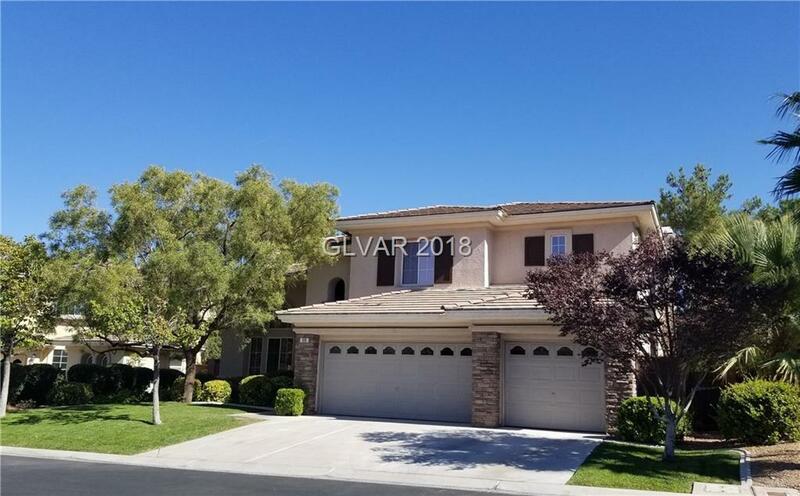 Stunning 2 story 5bed+ 4 bath with 3 car garage Summerlin home in Talon Pointe Gated Community. Home welcomes with gorgeous upgrades throughout. New flooring,soft color paint. Nicely remodeled bathrooms, kitchen with custom made cabinets, quartz counter top, 48'' professional gas range with grill and two ovens. Crystal chandeliers adorn 13' ceilings.Master bedroom with balcony and large walking closet. Cozy backyard with lots of green and pool.